The poker field is full of challenges for players around the globe, which only the most proficient of them could face and defeat. Bulgaria is a country often seen among the top positions on the leader boards in various live and online poker tournaments. This comes to show that Bulgarians are willing to demonstrate their skills on an international level and play among some of the best in the industry. In order to shed more light on their accomplishments, Casino News Daily has compiled a list of the top five most profitable players from Bulgaria and where they collected their winnings from. Atanas Kavrakov is the player who is currently occupying the fifth position in the Bulgarian ranking of poker players and his total live earnings are estimating to $1,191,621. His name was just recently seen on a premium leader board when he participated in the Boyaa Poker Tour 2017 and finished fourth at the HK$20,000 No-Limit Hold’em High Roller. This event brought him a sweet payday amounting to HK$114,800 (US$14,717). However, his largest live cash was won on October 23, 2017 when he played in another big championship, the Asia Championship of Poker at Macau. Kavrakov claimed the seventh place at the HK$95,000 + 5,000 No-Limit Hold’em Main Event and received HK$1,000,200 (US$128,174). The fourth place in our rank list is going to Viliyan Petleshkov, who is another player with high potential. His current total live earnings amount to $1,314,766 and the largest winning he has laid his hands on was $296,173. This happened last December when he participated in the €10,000 + 300 No-Limit Hold’em EPT High Roller event in Prague, where he outplayed most of the field of 317 and finished fourth. The last prize he received was at the €550 No-Limit Hold’em The Colossus event of WSOPE, where he bagged $1,762. Lachezar Petkov is one step closer to the throne on our leader board and he is a player who prefers to participate in High Rollers and Main Events. Petkov’s total live winnings are estimating to $1,440,835, and it should be noted that a big chunk of that sum of money came as he bagged his largest live cash. He managed to win it when he claimed the runner-up position at the €5,300 No-Limit Hold’em PokerStars Championship Main Event of PokerStars Championship Barcelona. 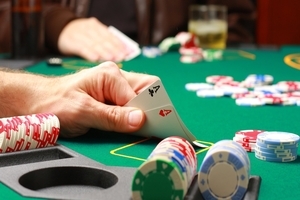 He outplayed 1,682 entries and laid his hands on $1,078,356 at the end of the final table. Another Bulgarian player who played at the same Main Event was Simeon Naydenov, who is also the runner-up in Casino News Daily’s chart. Even though he was sent home rather early in the culminating tournament this year, his overall live gaming career has brought him earnings amounting to $2,611,208. The year of 2017 brought him his largest one so far and this happened at the $ 10,000 No Limit Hold’em – WPT Championship Main Event where he reached the second position. This brought him a well-deserved payout estimating to $672,190. 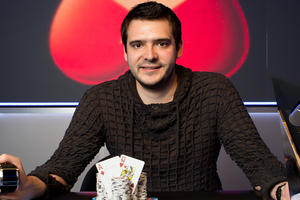 Undoubtedly the big winner with total live earnings way larger than the previous players listed is Dimitar Danchev, who boasts winnings amounting to some $4,276,700. His best live cash is also the largest one among Bulgarian poker players and for the time being, no one has managed to beat him. Back in 2013, he became the champion at the European Poker Tour $10,000 + 300 No-Limit Hold’em Main Event and this brought him the coveted by many first-place prize amounting to $1,859,000. In the last five years, all of his live poker games have sent him among the top 10 places on the leader boards, which only comes to show his level of proficiency and poker skills.